Working on behalf of students, we have successfully led the charge on many of the landmark funding & policy decisions helping improve the education landscape. Below are some of our most notable accomplishments throughout our history. 2000: Founders of League of Education Voters work to pass Initiative 728, which brings nearly $500 per pupil into every school across Washington state. 2001: League of Education Voters was founded. 2007: League of Education Voters helped pass House Joint Resolution 4204, an initiative that amended the state constitution to allow a simple majority of voters to authorize local school district levies. $7.4 billion in local school district funding would not have passed as of June 2017 without this bill. This includes maintenance and operations, transportation, and capital (predominately tech) levies. 2009: League of Education Voters led the advocacy to pass House Bills 2261 and 2776, which defined basic education. These are the laws on which the Washington Supreme Court’s McCleary education funding decision was based. 2010: League of Education Voters was the lead plaintiff in the successful effort to overturn Initiative 1053, the initiative requiring two-thirds legislative approval to raise revenue or close tax loopholes. 2012: League of Education Voters was the key driver in passing Initiative 1240, which created Washington’s charter public school system. 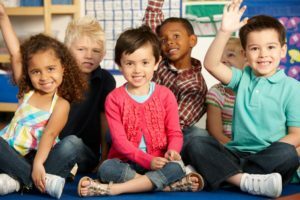 2013: League of Education Voters helped pass House Bill 1723, which expanded the state Early Childhood Education Assistance Program (ECEAP) and the use of the Washington Inventory of Kindergarten Readiness (WAKids) for 14,500 low-income children to attend high-quality preschool. 2014: League of Education Voters helped pass the REAL Hope Act (Senate Bill 6523, our state’s version of the Dream Act), allowing qualified undocumented students to apply for federal student aid and participate in the State Need Grant. An additional $5 million was apportioned for 2014-2015 to serve newly eligible Dreamers. 2015: League of Education Voters helped pass the Early Start Act (House Bill 1491), which increased access to high-quality ECEAP early learning for 1,600 children and dramatically increased the quality and viability of our childcare system. We also developed A Way Forward (PDF) to guide our organization in upcoming years. 2016: League of Education Voters helped pass Senate Bill 6194, which saved Washington’s charter public schools. The new charter public school law increases accountability while still allowing flexibility and innovation to address student needs. 2016: League of Education Voters led advocacy efforts in the Senate to help pass the Opportunity Gap Bill (House Bill 1541), in which students will no longer be suspended or expelled for discretionary offenses, and better statewide data on student demographics will ensure that the system is working to keep all students on track and in school. 2017: League of Education Voters led advocacy efforts through the Campaign for Student Success to drive $8.3 billion of state money into our education system to address the Washington Supreme Court’s 2012 McCleary ruling. 2018+: League of Education Voters work at South Shore PreK-8 led to Multi-Tiered System of Supports [MTSS] teams in every Seattle school.